1 month ago Cornelius Rupert T.
As the nation inexorably grows more racially diverse, the higher education system has become a chokepoint to narrowing the gaps in economic opportunity between whites — particularly those from upper-income families — and minorities. Although nonwhites will soon reach a majority of the under-18 population and already constitute a majority of public school K-12 students nationwide, most of them who attend college are still being channeled toward the least selective private and public postsecondary schools operating with the least resources. Meanwhile, whites still fill most of the seats at the most selective institutions, which spend the most on their students. That “dual system,” as Carnevale has called it, threatens to generate a growing level of social tension as minority young people become a majority of the nation’s future workforce — yet find the most reliable pathways to success at the nation’s elite higher education institutions still reserved mostly for whites. The separation of young people into this two-track system matters so much because the outcomes vary so much for students at the most and least selective institutions. Among black and Latino students with above-average SAT scores, 81% at selective public institutions complete their degrees, compared with just 46% at the less selective public schools, the Center on Education and the Workforce found in “Our Separate & Unequal Public Colleges,” a comprehensive study released last fall. The disparity isn’t difficult to explain: The selective public institutions can afford to spend about three times as much on their students as the least selective institutions. Amid sustained cuts in taxpayer funding for public higher education, that spending gap is now about one-fourth larger than it was a decade ago. It’s one reason why the gap in college completion is also widening between whites on the one hand and African-Americans and Latinos on the other, even though the latter groups have significantly increased their share of the total postsecondary population. The most visible problem in higher education admissions is the one illuminated by the college cheating scandal: the tilt toward children of the wealthy and connected at the most elite private institutions. Many of these schools have intensified their efforts in recent years to recruit more students of color or from lower-income backgrounds, and have offered more financial aid based on need. But even so, they remain bastions of privilege. Research by The Equality of Opportunity Project led by economist Raj Chetty found that the most elite private institutions — what they designated as “Ivy Plus Colleges” — admit more students whose families rank in the top 1% of earners than those from all of the families in the bottom half of the income distribution. Children in the top 1% of families were 77 times more likely to attend these institutions than children from parents in the bottom fifth of earners, the analysis found. Looking at a broader universe of the 146 most selective private colleges and universities, 63% of their entering class is white, according to calculations by Jeff Strohl, research director at the Georgetown Center on Education and the Workforce. Whites compose only 54% of the college-age population. These trends have understandably kept a spotlight trained on the admissions choices of the marquee private schools. But those schools represent only a small sliver of the higher education landscape. According to Center on Education and the Workforce research, only 5% of white students and 3% of nonwhite students attend one of the top-tier private colleges; only about a quarter of white students and a fifth of nonwhite students attend any private institution at all. That means even aggressive efforts to expand access to the elite private institutions through affirmative action programs or targeted recruitment can do only so much to widen the pipeline of opportunity for kids from lower-income and minority families. Any effort to dismantle higher education’s “dual system” must focus heavily on public higher education because that encompasses the vast majority of students: 77% of whites and 79% of nonwhites attend public colleges or universities. The most elite public universities admit a considerably larger percentage of students from lower-income backgrounds than do the elite private schools. But those top-shelf public schools are not immune to the stratification that defines admission at their private counterparts. The Georgetown center’s “Separate & Unequal” study found that whites make up 64% of the entering students at the top-tier public institutions, almost exactly their same share at the most exclusive private schools. In these top-tier public schools, African-American and Latino students compose only 19% of the entering class. That’s only about half of their share of the overall college-age population: 36%. It’s even slightly less than their share (22%) of entering students at the top-tier private schools. By contrast, blacks and Latinos represent fully 43% of the entering class at the less competitive and less-funded open-access community colleges and public four-year institutions. Asians represented 12% of the students at the selective public schools and just 5% at the less-selective institutions. Viewed from the other direction, a solid 56% majority of all college students of color attend these low-resource public institutions, compared with just 41% of white students, according to Strohl’s calculations. In California, for instance, the number of Latino young people in higher education has nearly doubled, from about 700,000 in 2000 to 1.3 million in 2016, according to a recent report by Siqueiros’ group. But only 6% of them attend private institutions, and though the elite University of California system has significantly increased its Latino enrollment, just 4% attend one of those campuses. Another 13% attend the respected but less prestigious California State University system, while a staggering 72% study at a community college. The remaining 4% attend for-profit schools. In one powerful measure of how this distribution shapes the lives of young people, Latinos at the University of California are four times as likely to finish their degrees after four years as those in the CSU system, the Campaign for College Opportunity found. The UC Latino students are 25 times more likely to finish their degrees on time than Latinos in the community college system. 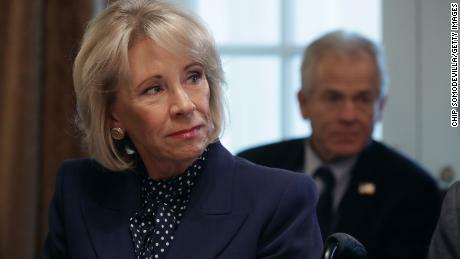 For all the understandable outrage at the wealthy parents accused of using bribes and cheating to secure spots for their children, experts agree it will take structural changes in both private and public schools to reverse these trends toward solidifying inequality in higher education. Carnevale’s group has proposed a flat requirement that all institutions that receive federal student aid reserve 20% or even 25% of their entering positions for recipients of Pell Grants. That could open a substantial number of spots for low-income students in private schools but would not change the dynamic as much in public institutions, many of which exceed that threshold. In public schools, the fight may center on other fronts. One is an effort to reduce admissions office reliance on the SAT, which critics have long complained benefits students from wealthier families, particularly in the era of widespread test coaching — largely unavailable to lower-income applicants. States are also rethinking community colleges by demanding they move a greater share of students to graduation, easing the path to transfer to four-year institutions (an initiative in which California has been a leader) and eliminating tuition on the theory that just as changes in the economy after World War II demanded 12 years of publicly funded education, the information-age economy now requires a minimum of 14 years. California, for instance, already provides a year of free community college, and new Gov. Gavin Newsom’s first budget proposed extending that to a second year. Young people of color became a majority of K-12 public school students in 2014. The Census Bureau estimates they will reach a majority of the under-18 population around 2020. By as soon as 2023, they will become a majority of the nation’s high school graduates, according to projections by the National Center for Education Statistics, part of the US Department of Education. Dismantling the obstacles that inhibit more of them from obtaining the college degrees now critical for upward mobility isn’t just a matter of fairness — it’s a question of self-interest for an American society in which these kids of color will constitute a growing share of workers, consumers and taxpayers. Correction: This story initially misidentified the Campaign for College Opportunity. 38 mins ago Cornelius Rupert T.